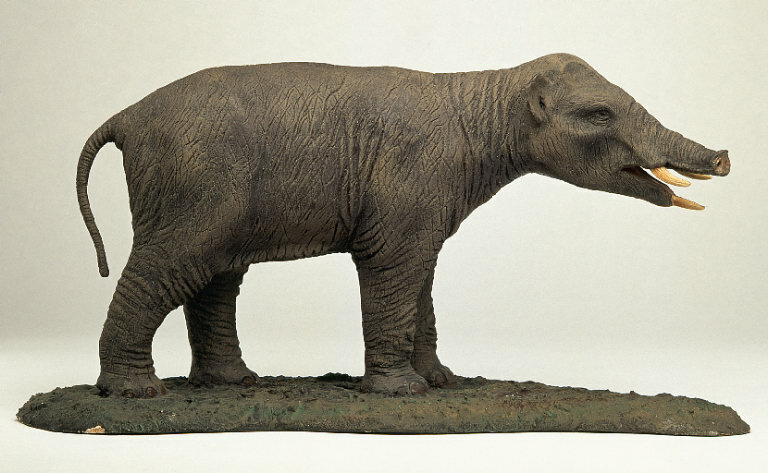 The Phiomia is an ancient genus of proboscean that was very similar in appearance to a modern elephant but with a very short trunk. They roamed the forests of all over Eurasia and Africa, especially the northern regions 37-30 million years ago. They were herbivorous and were around two feet taller than the average human male. It was in 1901 that the animal was first discovered, and was later named in 1902 by paleontologists Andrews and Beadnell. With a look intermediate between an elephant and a large pig, very little is known about the prehistoric animal since very little skeletal evidence could be recovered. The fossils that were discovered were from the Jebel Qatrani Formation in Fayum or Faiyum, a lake province of Egypt, as well as, in the later years from the Gaz horizon located in the northern part of India in the Siwalik mountain range. The only few fossils that were unearthed consisted of sets of teeth and a very limited part of the skeleton. Later, the genus ‘Phiomia’ got its name from the province of Faiyum where it was first discovered. Its name literally means the “saw-toothed animal of Fayum”. Phiomia was about 10 feet in length, and weighing around half a ton. Fossil shreds of evidence included the creature’s very durable set of upper and the lower canine teeth, and strong incisors except for the second pair, which was missing. One of the characteristic features about Phiomia was its lower mouth where its pair of tusks grew forward into a shovel-like protrusion. The fossil remains also showed that the tusks of the elephant were very powerful and well-developed. The unique feature of the tusks may be an adaptation to help the animal shovel up wild plants out of the ground, as also, to strip the barks of trees and defense from predators. Phiomia likely had a trunk; however, there is some uncertainty as to exactly how long this trunk would have been. The neck region in the ancient mammal’s fossilized partial skeleton also showed that it had a long neck, an elongated lower jaw. 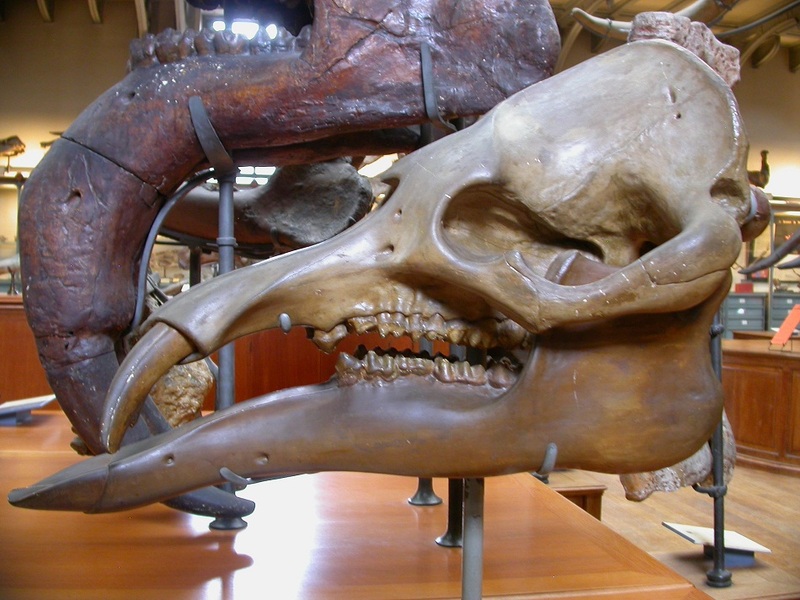 The animal was even larger than the similar genus called Moeritherium. The Phiomias were semi-aquatic herbivores that lived in the swamps and woodlands of the northern regions of Africa, thriving on a diet consisting of terrestrial vegetation of the forests, probably preferring water plants. 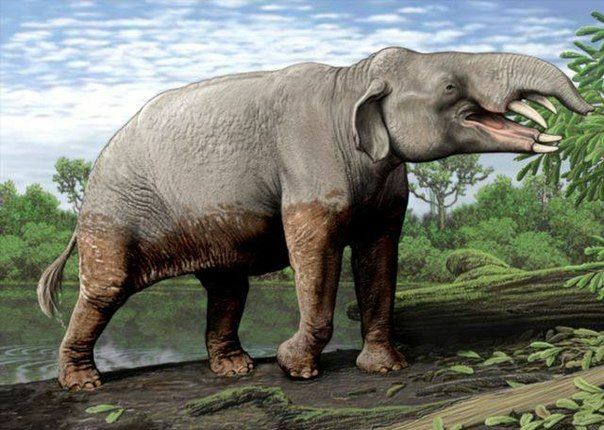 Researchers in paleontology believe that it was the Phiomia that probably evidenced the line that that led to modern elephants having a distinct trunk by evolution. They were as tall as an Asian elephant and as long as a rhinoceros. Published on April 9th 2019 by admin under Mammals.